The perfume comes in a tiny glass rollerball bottle, which makes it easy to apply and perfect for traveling. I do not wear a lot of perfume these days, but this one felt immediately own. Very sensual, delicate and natural with no synthetic notes. I found it in Los Angleles two years ago and have been wearing it ever since. Bois de Balincourt is named after a stately family home and inspired by the surrounding forest: a mysterious and ancient place where long walks on the magical trail called Lover’s Lane were a favorite activity of multiple generations. Made on a safflower oil base, the perfume comes in a 15 ml (0.5 oz) glass rollerball bottle which makes it perfect for traveling. Like any perfume, you apply it to pulse points such as neck and wrists. 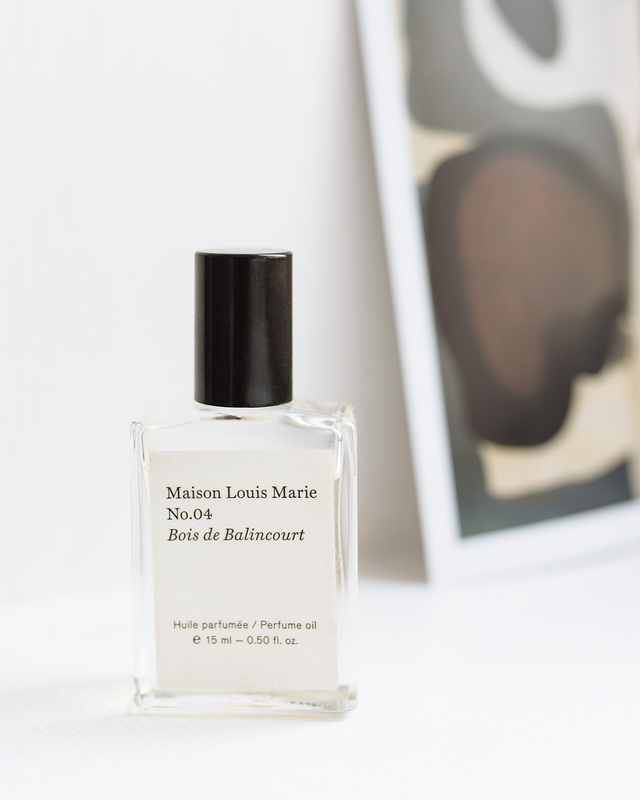 Though regularly sold out, Bois de Balincourt is available on The Line.